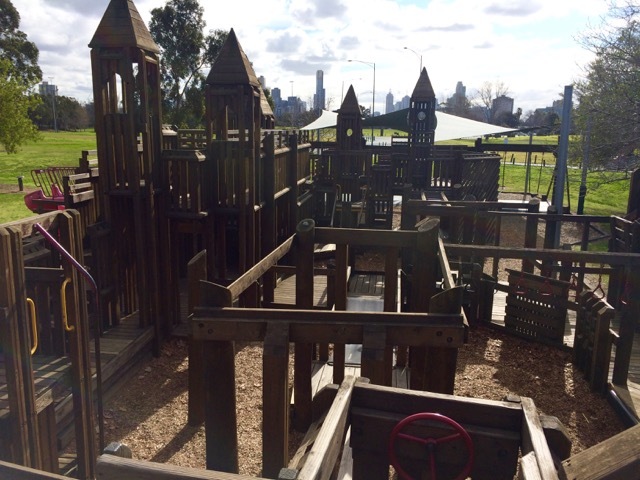 The Aughtie Drive playground is a large wooden structure with lots and lots to do so allow a good amount of time for little ones to explore as well as some food & drinks. Lots of places to explore, hide under, lots of slides, tunnels, bridges and walkways. Some areas are a bit difficult for little ones as stepping is uneven so it may be limiting in some parts. There is an ample amount of swings at this playground so little Miss was spoilt for choice with two areas of shaded swings. 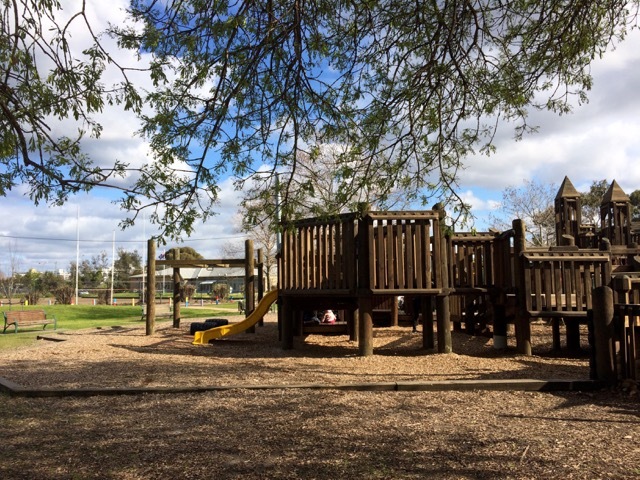 The playground is not fenced however there are some shaded areas around the playground as well as picnic tables and toilets and grass to run around on. The Aughtie Drive playground is located along the F1 circuit and MSAC in Albert Park. There is close by ticket parking next to the playground which is convenient.